Welcome to Lafayette LA, the heart of French Louisiana. If you’re looking for a unique cultural experience, then Lafayette LA is where you want to be. We do things a little different here, cheer. The folks here are friendly, the festivals are lively and the cuisine is world-famous. Our unique heritage, a French culture simmering like a gumbo for the past 200 years, makes us seem like another country, only right next door. We call it joie de vivre (joy of life). You’ll call it fun! When a hot Zydeco band starts cooking, the sizzling backbeat of the frontier (washboard) makes it hard for your feet to resist the dance floor. Or you may find yourself two-stepping like a native to traditional Cajun fiddle and accordion tunes. Real Cajun and Creole cooking, fresh and spicy, just an oyster throw from the bayou. Festivals and celebrations, from Mardi Gras to a Friday afternoon fais-do-do (street dance). Historic antebellum homes. Lush tropical gardens. Dark, mysterious swamps. Authenticfolk life attractions. You’ll find it all in Lafayette LA. 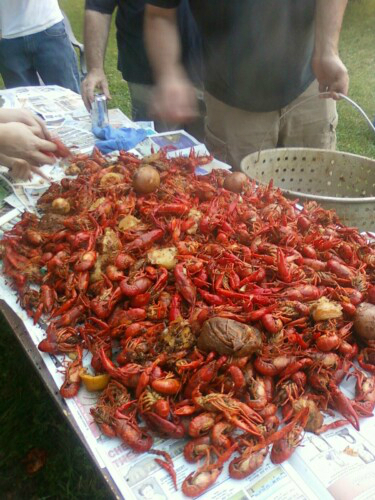 So come spend a little time with us here on the bayou. We’ll save you a place on the dance floor. Lafayette LA, the heart of Acadiana and the unofficial capital of Cajun Country, with its gleaming present belies an exciting and captivating past. Lafayette LA is a metropolis which displays an extraordinary mixture of tradition and progressiveness. Having a rich French heritage blended with Spanish, American, Indian and African influences, the city represents a colorful combination of lifestyles. interlaced with bayous, swamps and marshes. Early historians report that a few trappers, traders and ranchers were present in the region prior to the Spanish occupation of 1766. The first settlement in south-central Louisiana, known as Petit Manchac, was established by the English who used it during the Revolutionary War as an outpost. It constituted a small trading post on the banks of the Vermilion River where the Old Spanish Trail crossed the bayou (about where today’s Pinhook Bridge is located). The village also came to be known as Pin Hook, a name about which many stories of origin exist. The historical event which had the greatest cultural impact on Lafayette LA was the migration of the Acadians from French Canada after “Le Grand Derangement” in 1755. Most of the exiled Acadians followed the path which led to New Orleans. There they received a hostile greeting from the French aristocracy so they headed west into unsettled territory. They settled along the bayous of south central and south western Louisiana where they could live according to their own beliefs and customs. With the Louisiana Purchase of 1803, Louisiana then became possession of the United States. In 1821, Jean Mouton (an Acadian) donated land for the construction of a Catholic church. 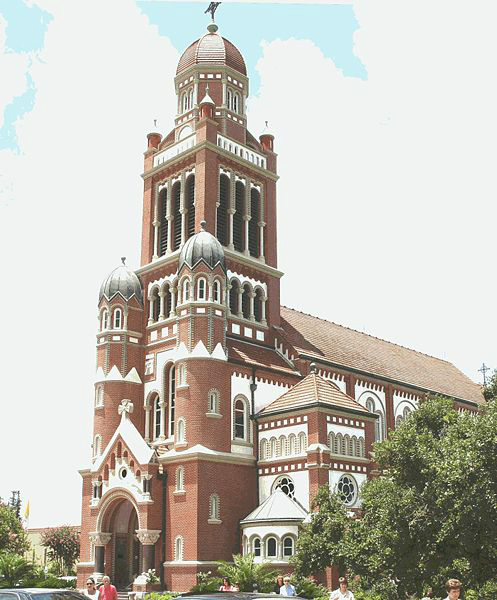 On May 15, 1822 Bishop Duborg created the church parish of St. John the Evangelist of Vermilion which encompassed the area from Mouton’s plantation south to the Gulf of Mexico and west to the Sabine River. The settlement grew around the church and on January 17, 1823, the Louisiana Legislature created Lafayette Parish from the western portion of what was St. Martin Parish. Mouton made a second land donation to the new community, this time for a courthouse. The town of Vermilionville became the new parish’s seat. The settlement grew and the town of Vermilionville was renamed Lafayette in 1844 in honor of the French Marquis de Lafayette. Year-long attractions include two recreations of early Cajun settlements (Acadian Village and Vermilionville), the Jean Lafitte National Historical Park and Preserve/Acadian Culture Center, the Lafayette Natural History Museum & Planetarium, the Lafayette Museum/Alexandre Mouton House, and numerous fine restaurants. Seasonal attractions include the Azalea Trail in spring, Festival International de la Louisiane in April, La Fête des Acadiens and the Summer Music Festival, both in August, Festivals Acadiens in September, and Christmas on the Bayou and Christmas Comes Alive (the latter at Acadian Village). Lafayette is home to the University of Southwestern Louisiana (enrollment about17,000), which operates the Center for Louisiana Studies, the Acadian and Creole Folklore and Folklife Center, and the Southwestern Archives. The school’s athletic teams are called the “Ragin’ Cajuns” and “Lady Cajuns.” Lafayette also boasts professional hockey and soccer teams (the IceGators and the Swamp Cats), both of whom play in the Cajundome civic arena. Lafayette LA has a population of 108,635 (1995 estimate). Acadiana (or Cajun Country) is the popular term given to an eight-parish region.